I Am the Great Divine Director coming forward from the 144th dimension of reality to assist in bringing forth understanding of how each soul within the human form expresses their life through the multi-realities that they have been previously and what it means in your future moments. As you learn more about the Universal Laws, you can start to apply how they are represented within your personal life. Of course, the elements that make up a specific law are generated from the Source of Light that you are, through your I Am Presence, into your Monad, and then into the existence of your Higher Self. It is then realized through the physical conditioning of your consciousness into the reality of who you think you are in any given moment. The Law of Cause and Effect or commonly known as the Law of Karma represents who you are as a soul, your travels within the many dimensions and how that energy you have inhabited is going to co-exist within your human experience. This is so very true with every soul that is incarnated upon the Earth. It is not a choice of the soul or the human mind, it is a law that is incorporated through your Soul Essence to be realized within the physical body, or your life experience. It is what you do with that energy you receive that is most important for the development of your spiritual awareness and maturity. Your body is the vehicle that is assisting you to remember; it is the bridge that you need to have within your life so that you can remember your past, good and bad. Without the realization of those lifetimes in which you had suffered or experienced deep trauma, you could not have the courage that you do now. This is something that every initiate must remember as it is the cornerstone of growth that occurs within the full body system. I see so many students trying to forget what they have been because it is devastating for them to remember. But I urge you to not recall you whole lifetime but just some elements that are lodged within your subconscious that need to be healed. These are the variables that are so very important for your growth. If you do not allow yourself to accept what you have been, then you cannot move forward in your pathway as your Soul desires you to do. 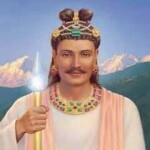 You see, the system of light that you incorporate within your physical body is very gifted. It has a way of not accessing all of the information, but small elements to help you move through the trauma or the experience that seems unforgivable to you. It acts as a barrier until you are ready to remove that barrier. Every life experience that you have is directly related to who you are as a Soul, within your history since the beginning of time whether it is good or not so happy. The remembrances are there to assist you to move further within your pathway so that you can acquire the light frequency that you desire from your Higher Self’s perspective. It is why you are on the Ascension Pathway, to help you remember who you are and built upon that essence within the physical conditioning. So what happens when you embody is that you step into working within the Laws of the Universe. But if you have had timelines in which this was not part of your experience, then you will again experience those elements. It depends upon your strength to call upon your Higher Self and the Ascended Master State of Consciousness to help you grow beyond what you have been before. This means that every life experience, each medical condition, each part of you that is struggling is occurring because it is being revealed to be healed. It is not to be ignored as it will grow within you to think differently. It is a guide for you to understand who you have been, and that is no longer YOU. You know better, as you have tools to move beyond the old experience. Some call this the Death and Rebirth experience; it will occur many times during your transitions of ascension master. Understanding how to get through the challenging moments will help you to realize the potential that you have. In an unawakened person they do not have the capability to move through these issues. It may not be part of their design this lifetime to heal that element but to experience it due to whom they have been before. If they never awaken, then those elements are healed to a certain extent on the Inner Plane as each of us, as the Ascended Masters, have a role to help discarnate souls to heal from the trauma they experienced. Each of you that are awakened are in a completely different position. It is a time of acceleration and to change what you have been into a higher being of light while existing upon the Earth. That is the beauty of what is occurring presently for each of you. You have grand opportunities for growth; those characteristics that you do not like about yourself can be healed, but you must believe it to be so and not get lost in the muck and mire of the depth of your despair. This is very important as these elements can seem very real as if you are experiencing it for the first time in your life – but it is not actually true as you are moving deeper into the process of awakening. You have awakened to change what you have been into the potential for so much more than you realize. The important element of the Law of Karma is that the previous laws of Oneness, Vibration, Action, and Correspondence all relate to each other. This is how the Law of Karma is rewritten so that you can remove the elements that may be stopping you from your full potential. But it has to occur within the confines of your own personal mastery and how your mental and emotional bodies interact within each other. First you must trust in the process and allow it to become a reality. Then you allow the higher vibration you are receiving to create the balance within you. Next you step into Action with what you have already learned. And then, finally you become the Mirror Image of your Higher Essence and not the mirror image of your physicality. The Law of Karma then will react accordingly to these previous laws. But you must be diligent within yourself to allow the healing to occur. When you bring forth your Higher Essence into your Physical Essence, then that element you are dealing with will change accordingly. It is part of the Universal Consciousness to allow these elements to be steps into your full creative process. If you don’t act accordingly to the laws within your personal life, that is when your karma of the past timelines will be ignited. You can change them according to the laws just be being One within yourself and allowing your physical experiences to be represented by those energies, and not the karma itself. This process is ongoing through your pathway of ascension. That is why there are so many initiations just for planetary ascension and that is only the beginning. The world is in a much better place for ascension; the earth has never been able to experience these transitions as she has and each of you are doing. Sometimes the process can seem arduous but you have to remember that you have had many lifetimes that need to be healed and accepted to help you move into the higher creative process that you are. It is my blessing to walk with you during these moments of high acceleration. 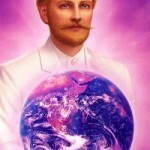 Join Walking Terra Christa on Saturday, June 4th, 2016 at 12:30 PM Pacific as we connect with Master Thoth and The Great Divine Director, REVEALING LOST PUZZLE PIECES: THE LAW OF CAUSE AND EFFECT. You may join LIVE or receive the MP3 recording of the classes. WalkingTerraChrista.com by Rev. Christine Meleriessee Hayden and Rev. J. Michael Hayden (Ara). Use for commercial websites, blogs and any printed or written reproduction requires written permission.